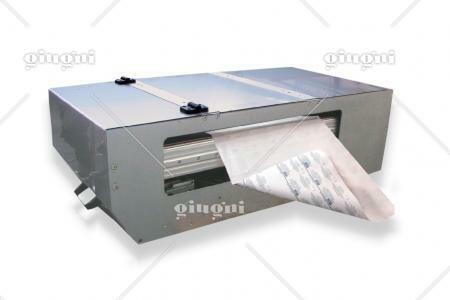 The PRINTFLEX is a new flex graphic printer producing one colour high quality prints, on absorbent and not absorbent films, normally used in medical, pharmaceutical, and food packaging sectors, etc. 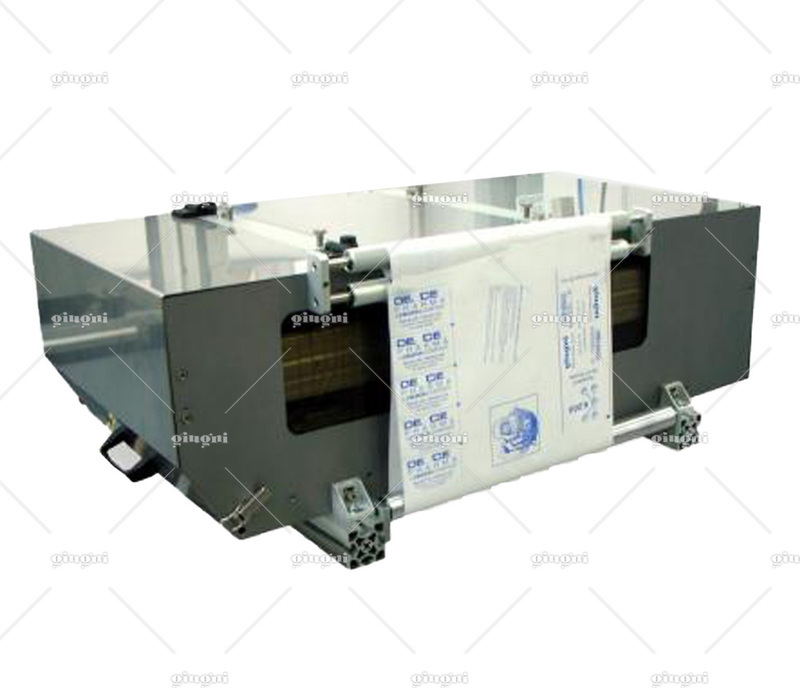 It is ideal for inline printing with blank film, with an intermittently moving packaging machine (Thermoforming machines such as MULTIVAC, ULMA, ALMA, TECNOSISTEM, MPS, COLIMATIC, etc. or blister machines such as UHLMANN, IMA, MARCHESINI, BOSCH, KLOCKNER, etc.). 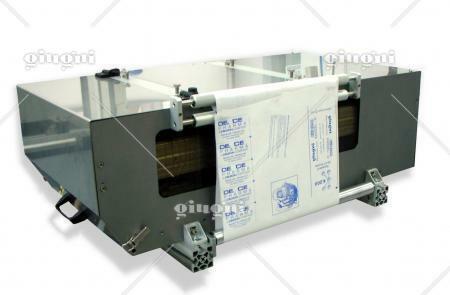 This printer is particularly suitable for high speed printing on not absorbent films. Indeed, it can reaches 40 cycles per minute. It can utilize solvent based inks, water based or UV. 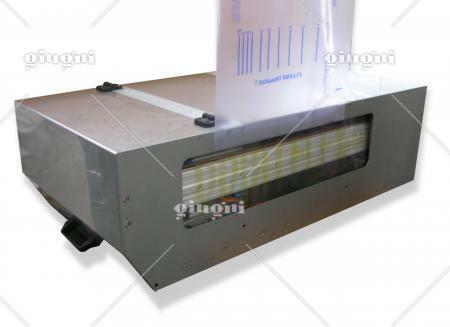 Printing in line with blank film avoids using pre-printed films and related costs and eliminates the printing register problems on the packaging machines. This does not prevent from using also pre-printed films in order to cancel and/or modify previous data, adding a colour, etc. After printing, carried out on still film, the same film will flow through the PRINTFLEX pulled by the packaging machine. This printing machine is equipped with a motorised inking system by ceramic laser engraved inking roller (anilox) with doctor blade. - By Monobloc; that is with little tank, pneumatic pump and ink reservoir built-in with the printer. The Monobloc is completely extractable in few seconds to minimize changing colour and/or cleaning needed time. Moreover connecting hoses with the bucket are avoided. - By pneumatic pump on a 15/25 litre bucket; everything placed on a mobile wheeled tray on the floor. The machine is complete with electro-pneumatic logic control in a free standing electric control panel with display (reading desk type). It is possible using rubber or polymeric stereos, easily replaceable, with the chance of centring them. On request, made on purpose windows allow variable data printing. Flexo solvent base inks, water based or UV inks are used to print on external side of absorbent and not absorbent films, currently used for medical products and food packaging, etc.